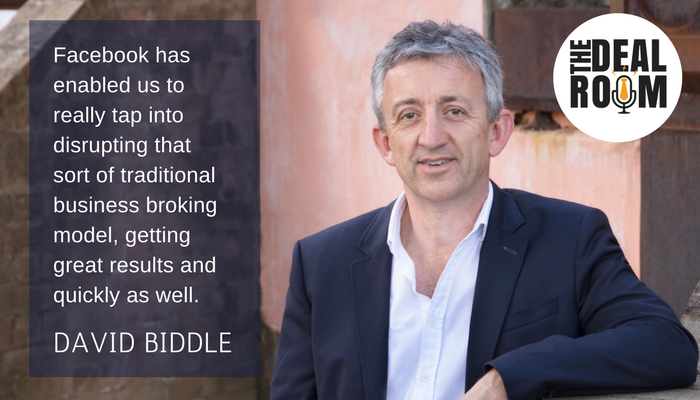 David Biddle of Brilliant Businesses joins us to share how he built and sold his business in record time, for double the valuation that he was initially given. [29:13] Tip #4: Have fun! It’s a great industry to be in now. Joanna: Hi, it’s Joanna Oakey here and welcome back to the Deal Room podcast. 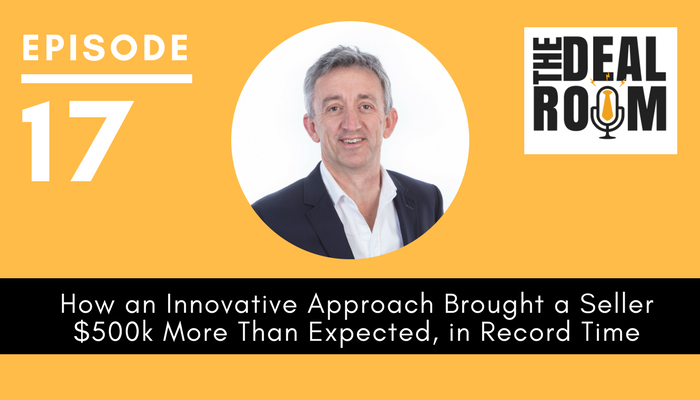 Today we are talking about how an innovative approach to selling a business helped a seller sell his business in record time and $500,000 above expectations. And to talk about this topic we have with us today David Biddle of Brilliant Businesses which is part of the Brilliant Group. David has got a very interesting history. We worked with him on his legals when he was selling his business and now he’s turned that experience of building a business and selling it into a career in helping others sell their businesses. So welcome along David! We’re really excited to have you on today. David: Thanks Jo. It’s great to be with you. Joanna: Great. So maybe we can start off by talking a little bit about your background because I think that’s a really interesting story about the concept of moving from actually building a business, selling it and now working in that space to help other business owners who are selling. David: Cool. Yeah well I had a variety of different careers and businesses over the years. My background is actually in photography, film and television. That’s what I studied when I was back at university in the UK. Joanna: Wow! I did not know that. There you go! David: Yeah. And then I used that as a stepping stone into the events production industry. I used to work with a lot of corporates throughout Europe staging product launches, conferences, road shows, business seminars. So it was sort of live events marketing long before the days of the Internet. So it was very sort of traditional marketing. I did that for a number of years before deciding to make the big leap across the other side of the world with my family and have a lifestyle change and ended up in Australia with a boating business. Joanna: Wow. Okay and how many years ago was that that you started in the boating business? David: I came to Australia in 2004, and by chance. Sailing has always been a passion of mine. I’ve been involved in boating since a very young age and an opportunity came up to purchase a yacht charter company that also had just started up a syndicate boat business on the beautiful waters of Pittwater at Bayview. David: So I secured myself that business and over the next nine years put a lot of hard work into building that up and enjoying a beautiful lifestyle type operation. It was fantastic. Joanna: It does sound like the dream, David. It does sound like the dream. David: Yeah. It was very good. I was certainly the envy of a lot of colleagues. The fact that I could go to work in a pair of shorts and a t-shirt and mess about on the water and teaching people to sail and introducing people to that amazing pastime. Joanna: And so then the day came at some stage where you thought OK now’s the time to sell. So what was that process like for you? Tell us what process you went through to get yourself ready for sale. David: Yeah. So I’ve run that business for nine years. I’d grown it to where I felt I’d sort of reached the potential of what I wanted to do. It was very well prepared for sale. It was in great shape. A lot of good foundation work had been done to establish two separate parts of the business. As I say, there was a yacht charter company and a syndicate boat ownership part, both of which had very good websites and booking systems. The websites punched way above their weight in terms of Google rankings. I was a very early adopter of digital marketing and I used that to not only build the business but also build the value in the business. So come 2015, I decided it was time to sell and I guess initially I really thought there was only one way to sell a business. I needed to find myself a business broker and put it on the market and hope to goodness that somebody wanted it. So I did exactly that. I went out looking for a business broker. I started, surprisingly enough, with an Internet search, shortlisted a number of business brokers who seemed to have an offering that could potentially see what I needed and started interviewing them. Very quickly I realised that it was I guess a business to them that was a bit unique. David: It was out of the ordinary. And I think they knew they were going to potentially struggle to sell it. They didn’t have active databases of people looking to buy boating businesses. 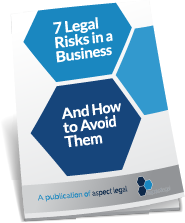 They had people selling a cafe or an accountancy practice or a legal practice then yes they had lots of active buyers but this certainly potentially posed a challenge to them. Joanna: Yeah absolutely. I can understand why that would be the case. And so what did you do then? 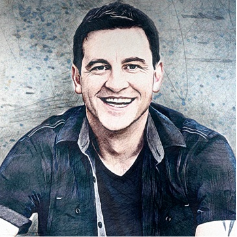 David: There was a bit of head scratching and I turned back to digital marketing. That was the solution. 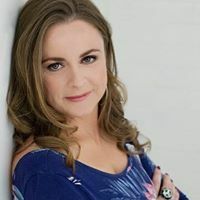 I went back to Deb Jeffreys who I’ve been working with since… I was actually her first client when she set up her digital marketing business back in 2009. And her work had been instrumental in me growing Smart Boating. So Deb and I sat down and had a bit of a brainstorm and we thought you know what, I reckon we could build a website here for the sole purpose of selling the business and then go out and actively market that to people who we identified as potentially being interested and yeah we decided to go it alone and have a go at selling it ourselves. Joanna: So let’s just rehash there. You obviously have a business that perhaps has a limited pool of buyers or maybe buyers that aren’t sitting around on brokers lists looking for this type of business because it’s a bit different. You then decided what you would do is set up a website for the business sale itself. Is that right? Is that what you’re saying? David: Correct. So this is completely separate from the day to day trading websites that we were running. 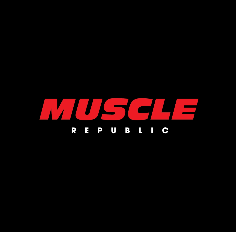 This is a website that was built for the sole purpose of selling the business and its longevity was purely limited to the length of time the business was on the market and then gets taken down and it’s served its purpose. So this is a very new and innovative approach. The results of doing that you know to cut a long story short. Well to cut a short story even shorter I should say was that I actually managed to sell the business in three months for double the initial valuation that I had. And what was particularly important to me was that I sold it to two guys who were ideally suited to take on the business. So that meant I left it in the hands of a couple of really enthusiastic, passionate boating people who made sure that the my team remained motivated and stayed there as part of the business. And more importantly all the customers that were there, they were delighted with the person who took on the business and for them it was business as usual. So that was really important, to have an ideal buyer sourced as well. Joanna: Well it sounds like a good news story all around really. And I guess one of the questions that I can just hear our listeners thinking about at the moment as they listen to this is how is it that you drove traffic to the website? because we all know it’s not enough just to have a website. We need we need eyeballs on our website as well. So what was that strategy there? David: Yes, it was a very proactive digital marketing strategy. So rather than a typical business listing website and waiting for a buyer to come along, trawl through all the listings and hopefully find an opportunity, ideally yours, that interests them, what we do is we identify people who might potentially be interested in buying the business. Using my boating business as an example we think okay people who are members of yacht clubs, people who own a boat, people follow certain brands, people who maybe follow Hammil Tide and Race Week or the Sydney to Hobart Yacht Race and potentially live in a certain geographical area or Bayview where the business was operated from, probably have a certain income. We brainstormed a whole heap of parameters that give us an ideal target market and then we have a series of teaser ads that pop up in Facebook feeds and Google browsing data for those potential target buyers. 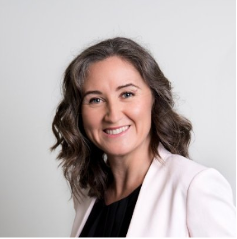 Joanna: And what you were doing there is something that accords with many discussions I’ve had recently which is that important element of really getting into the head of who your buyers might be so you can see your business from their perspective as well I guess. David: Yeah. It’s really like you say it’s knowing who your buyers are. It really comes down to marketing. It’s presenting the right opportunity to the right people at the right time and on the right platform. And I think traditionally that’s where brokers probably haven’t done as good a job as perhaps they should have been doing and now there’s an opportunity to really lift the whole profile of businesses that are for sale and their marketing. Gone are the days when a single page A4 flyer or a couple of pictures on the business for sale website will cut it. Buyers are pretty savvy these days. They need to know all the information and it needs to be presented in a way that ideally generates that emotional excitement and intrigue. David: What you really want is a buyer to see this opportunity presented in such a way that they start to get all excited about it. And then they’re going to come and ask the right questions and hopefully lead through to being your ultimate buyer. Joanna: Or at least give you a number of possible buyers to create a bit of competitive tension in the market place. David: That’s always good. And again with my business I actually had three people that were all prepared to pay the same price so I had the benefit of going through due diligence with one of the parties with the knowledge that should they pull through for any reason, there was another two parties waiting in the wings. So yeah that was, from a seller’s perspective, that was just an awesome position to be in. Joanna: And so this sounds to me as well like it’s a real opportunity. It’s an opportunity for sellers. It’s an opportunity for advisors in this space, like brokers, to think more broadly in terms of how they’re actually sourcing potential buyers in this market and work now with brokers. I mean indeed you are a broker yourself right. But you also work with brokers. Is that right? in assisting them in marketing businesses that they have on their books? David: Correct. So sort of to continue my own story. Having sold the boating business, I then went into partnership with Deb at the Brilliant Group. And we actually set up alongside our core business which is digital marketing and lead generation for predominantly professional service firms, we set up Brilliant Businesses as a sister business to really do two things. One to appeal directly to sellers who built established businesses and now want to realise their full potential when they come to sell them. So yes we target end-user business owners. But equally we realised that our expertise and experience is really in, even though we can we can do the whole approach beginning and to end, our expertise is in the marketing side of the business. So we’re really keen to partner up with brokers who might be struggling with certain listings in order to get the opportunity out to the target market. And what we can do is we can build the websites, drive traffic to the website, generate the leads, which are then fed to the brokers for doing buyer selection, negotiation, and ultimately through to closing a deal. So we see that as a great partnership opportunity, bringing out their negotiation and broking skills with our marketing skills. So it’s a win win for everyone. Joanna: Yeah. It certainly makes sense. I can see that this approach could be relevant to almost any business really and certainly those businesses that are a little bit different, that might have potential buyers sitting out there that may not even know that they want to be buyers. I guess it’s about germinating the idea. David: That is so true Jo. We’ve had two businesses we’ve sold recently that had both been sold to people who weren’t actively looking to buy a business at the time. So if those businesses had been listed on a business for sale website, those buyers wouldn’t have found them because they weren’t looking. What we did was we created the opportunity. It pops up in their Facebook feed when they were probably checking what the children or the grandchildren were doing one evening and there was enough of a story to create the intrigue for them to click on that. Facebook advert in those cases and clicked through to the website where we had some really good powerful storytelling content that sparked their interest to pursue the opportunity further. Joanna: Fabulous and this is probably a good point then maybe for you to tell us a little bit about one or two of those stories. It’s really interesting for us to hear in real life how this is played out. We’ve heard how it played out in your business but maybe let’s talk about one of the clients that you’ve worked with and their expectations beforehand and how it evolved after adopting this different approach. David: Yeah I mean I could give you an example. We recently sold a luxury pet boarding facility up in the Hunter Valley. So this is where it typically fairly affluent Sydney-siders take their pampered pooches for a vacation while they go away on holidays. So it’s a fairly up-market dog boarding facility. It’s on a 10 acre block up in the Hunter Valley. And our challenge was to take that to the market and find somebody who wanted to run that type of lifestyle business. So our approach was to build a website that told the whole story of this business – its trading history, the customers they work for, the day to day life of the business, the opportunities for expansion, what they what they excelled at, what was their point of difference in the marketplace. So it was a really cleverly written and creative piece of writing that made this business. It was an appealing business but it sort of brought that to life on a website. And then we thought okay so who might be interested in this kind of kind of business? So clearly anybody that works in the dog industry so we went to vets, we went to breeders, groomers, dog trainers, people who follow dog owners. Joanna: And this is fascinating isn’t it? I think people who haven’t had a lot of exposure to digital marketing might be hearing this and saying holy Dooley I had no idea Facebook is collecting all of this information. So it’s a little bit overwhelming initially. But once we get over those thought processes it’s fascinating and certainly an opportunity if we think about it in a way that we can really segment our message just to the people who are really the most open to the message or the opportunity that we are talking about. David: So true. And you make a good point there Jo. I mean Facebook, I know a lot of people’s immediate perceptions of Facebook will be something that teenagers communicate with each other. Well, it’s not. Facebook is very definitely a paid advertising platform now and there’s years and years worth of incredible data that once you know how to mine it and use it, it puts incredible opportunities in front of people who work in the marketing space. So it’s enabled us to really tap into disrupting that sort of traditional business broking model, getting great results and quickly as well because we can reach vast audiences very quickly and very cost effectively. 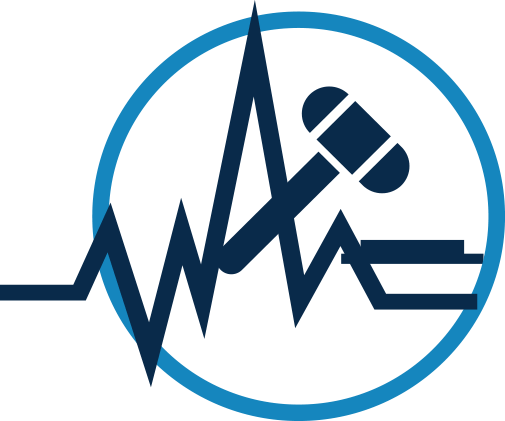 Joanna: And it’s interesting that you say quick and cost effective because as I hear you talking I can almost hear some of our listeners sort of thinking whoa that sounds quite overwhelming. Building a whole website, reaching all of these people. Gosh that must take a lot of time and money. But you’re saying in fact it doesn’t take a massive amount of time it might actually help speed up the process. Is that your perspective on it? David: Certainly the results that we’ve been experiencing recently have been businesses selling from sort of start to finish with a new owner on board and running the business then anywhere between four and six months. David: That is quick in business sales which typically take a year and longer. And it’s all about finding the right buyer. They’re already educated on what the business is about because they had absorb all the content on the website and if the owner has been properly prepared, which is something that we insist upon before we go to market, it just means that once you’ve got somebody on the hook you can follow that whole process through and keep it moving really quickly. Joanna: Well it’s fascinating approach and I think it’s a really exciting idea for as I said before it’s certainly really taking that concept of imagine who your buyer is and really target them to a whole new level. But it really is such an exciting way to open up the market for people who are selling their business who often in my experience many people who sell a business haven’t spent a lot of time thinking about it before they come to the point of sale. They get to the point of sale and for some reason they want to do it quickly and then suddenly faced with this difficulty of actually finding the market that is interested in their particular type of business. 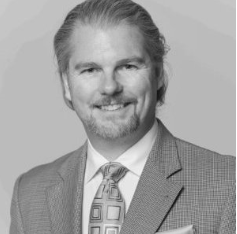 Coming up after the break, we continue our conversation with David Biddle of Brilliant Businesses. David will be providing some helpful tips for business owners who are looking to sell their business in the future. We also talk about the opportunities for brokers as well as sellers in terms of getting on top of digital opportunities in the sale of a business. Welcome back! 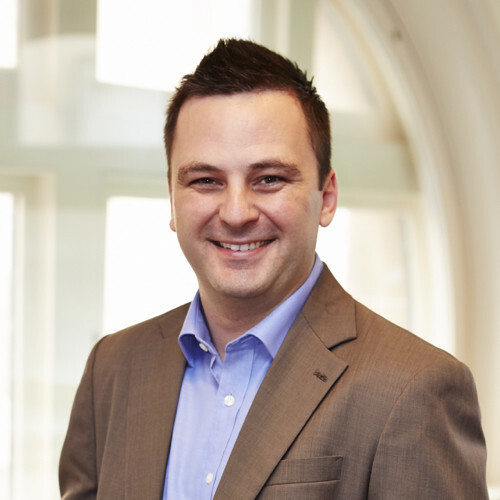 Earlier we talked about David’s personal experience of building and selling his business and how digital marketing helped him sell his business in record time, for double the valuation that he was initially given. Let’s keep the conversation going and discuss tips for our sellers out there and more importantly, for our business brokers who are struggling to find buyers for their clients. Joanna: So because you have gone through this whole process yourself as a seller and now in assisting other sellers maybe you could share with us some tips that you might have for sellers. What can sellers do in getting themselves ready and understanding the process? David: I think one thing as a seller you’ve really got to make sure you’re fully prepared. You’ve got to be prepared to go to market. And by that I don’t just mean financials, contracts, agreements and things like that. But you need to also have your premises have got to present well. First impressions really do count. Ideally you need to have a website that’s driving leads and giving a prospective buyer confidence that here’s a sales funnel that’s working, that’s bringing new business into the company. And also just to make sure that the business owners are emotionally prepared. It’s quite a daunting prospect going to market. So they’ve got to have a clear expectation as to what’s involved from them, how long it’s going to take to sell, and I guess have a goal at the end of it. They need to know what they’re moving onto whether that be another business or retirement or travel or whatever it happens to be. I think sometimes people underestimate the self preparation that a business owner needs to go through. Joanna: That’s a really good point. 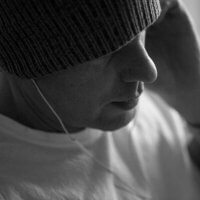 David: And so preparation is really important and there’s nothing worse than having a buyer go to market, you get someone that expresses an interest and they start asking for information that you can’t provide because the accountant hasn’t filed the tax returns or your superannuation returns aren’t up to date. And as soon as there are things that you can’t provide that obviously starts to make the buyer a bit wary and nervous. So the better prepared you are upfront that will pay dividends in the end. Joanna: Absolutely. And I just have to reiterate that from a legal perspective as well. For people who were listening to this that don’t know the full process, once you have found a buyer usually they’ll want to conduct some sort of due diligence on your business, so investigating the business. And if you don’t have your financials and your legals in place this can sometimes be an opportunity for a buyer to beat down the price. 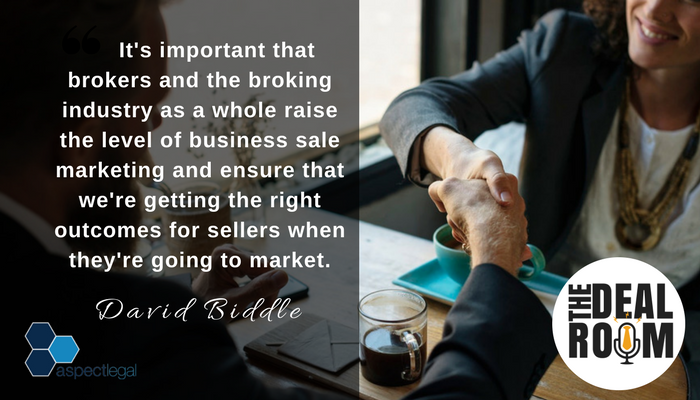 Being prepared not only helps you access a wider range of buyers but also helps you preserve the value of the business in the sale environment as well. So it’s a really good point. David: Yeah I think it’s always good to put yourself in the buyers shoes or have someone else come to you and say okay if I was a buyer this is what I’d be looking at. I’d be noting that that wasn’t up to standard and they’ll be picking holes in that and trying to drive the price down because of that. 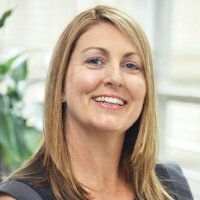 So it’s good to have someone representing a buyer’s perspective. If there are issues, fix them before a buyer finds them. Because a good buyer with the right legal team behind them will find any issues that needs finding. It’s far better that you find them and fix them. Joanna: That’s it. Absolutely. I completely agree with that one, David. David: I’d also say a couple of other things. I know there’s a temptation and clearly earlier in the podcast I said that I did this myself but there is a temptation to try and do the business broking process yourself. That actually takes quite a lot of effort. At the end of the day you’ve got to keep the business running while you’re going through the sale process. 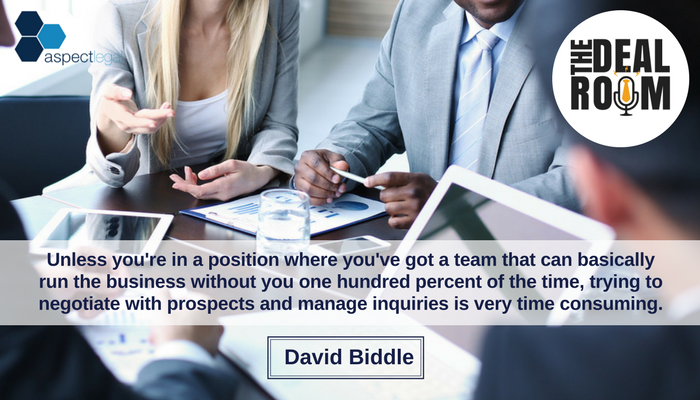 And unless you’re in a position where you’ve got a team that can basically run the business without you one hundred percent of the time, trying to negotiate with prospects and manage inquiries is very time consuming. So I strongly urge people to make sure they’ve got a team of professionals around them that together will give you the best chance of getting a deal over the line. Joanna: And because it can sometimes take a little while to find a buyer. But when you’re preparing your business for sale, your eye also really needs to be firmly on making sure that business stays solid and no issues occur before you found the buyer, signed and transition the business over to them. So doing things that take your eye off the ball is probably a pretty risky step I’m guessing. David: Yeah. And I think also the team they are probably a little sort of uncertain of what the future holds for them. Your team they want to see that you’re still running the business at 100 percent and making sure that they’re supported and their jobs are safe and everything else. So I think it’s best that you focus on that and let the team that you’ve pulled together focus on finding the buyer for you. Joanna: Great. OK. All right. Wonderful. So our tips for sellers just to rehash that is to be prepared both from the business perspective and from your own emotional perspective and to understand the process and be educated to put yourself in the buyer’s shoes. And I think that that’s something that you’ve really honed in on well today David about your approach of understanding the buyer and targeting that buyer. So first you really need to put yourself in their shoes to understand what it is that they want out of purchasing your business and to get the right team in place. Joanna: And what about for brokers? 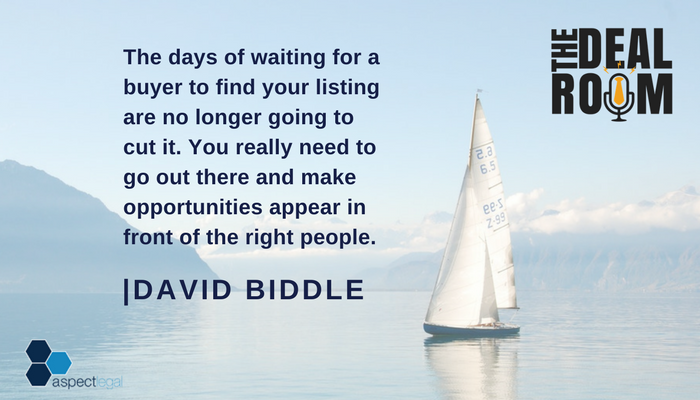 David, do you have any suggestions or tips for brokers who are dealing perhaps with businesses that they’re finding a little bit harder to move or to find a good competitive pool of buyers for. David: Yeah. I think at the end of the day, and I’m obviously speaking from a marketing point of view here, it all comes down to marketing and storytelling. Everybody looks online for pretty much everything these days so that’s where your potential purchases are going to be. So you’ve got to think really carefully about how you’re going to best present the business that you’re taking to market to the right audience using online channels. David: And I’ve always felt there’s been a bit of an injustice for business owners who have worked really hard to build up a business and unless they market it to reach its full potential, when they come to sell they’re really sort of cutting themselves a bit short. So I think it’s really important that brokers and the broking industry as a whole raise the level of business sale marketing and really ensure that we’re doing these businesses justice and we’re getting the right outcomes for the for the for the sellers when they’re going to market. Joanna: Yeah, absolutely. And any other tips you have there? David: Well as I’ve sort of highlighted I think again these days you have to be very proactive. The days of waiting for a buyer to find your listing are no longer going to cut it. You really need to go out there and make opportunities appear in front of the right people. It doesn’t need to be a very proactive approach. And I think increasingly sellers need a trusted professional by their side to kind of hold their hand through this whole process. The more you can offer them to make it a hassle free and easy experience so they can focus on continuing to run their business successfully. And you can guide them through that process, offer advice, bring the right professionals in that they need to help, any form of an end to end approach that makes their life easy is always going to be well received. Joanna: Yeah so for them I guess it’s about the brokers having the right team beside them as well that they can use to support their clients. David: Yeah that’s important and again it comes back to the preparation. Buyers want easy access to the information so you need to get those professionals engaged early so that all that preparation work is done. The information is readily available and when you do get a buyer on the hook it makes your job as a broker easier if there’s one place you can direct everyone to where all the information is stored in a central location. It just helps keep a deal on track. Tip #4: Have fun! It’s a great industry to be in now. Joanna: Yeah absolutely. Okay great. And any other last tips there David? David: I’d say it’s a great industry to be working in at the moment. Go out there and have some fun. There are amazing business out there. We’ve got a whole heap of baby boomers fast heading to retirement, thinking about selling businesses over the next two to five years. There’s a lot of businesses that probably traditionally might have been passed down to family members. That seems to be dying out now. A lot of sort of entrepreneurial youngsters would prefer to start their own businesses rather than take over from mum and dad so there are a lot of businesses coming to the market. And as a seller if you want to make your business stand out, you’ve got to be very professional about the way you go about selling it. Joanna: And I think you know it’s an interesting comment for brokers and other advisers as well in this space. I think we’re in a changing environment in the sales and acquisition space at the moment and will change as everything is changing at the moment. This is yet another industry where there’s a lot of change on the horizon. And as you say I think we’ll see a lot of businesses coming on the market in the next sort of five to 10 years. And so I guess it’s about brokers and other advisors really thinking through what this means for them and how they can differentiate themselves as well in this marketplace. And so I guess just rehashing there. The things that we spoke about for brokers is you talk David about being proactive in finding buyers. So it’s a really good point because it’s not necessarily about whacking up a business on an internet listing. It’s about thinking about how you can proactively find the right buyers for your sellers, thinking about online channels as another opportunity. Once again not just whacking it up on a list but thinking how else can we more innovatively use our online channels to find buyers for these businesses. And then crucially having the right team of professionals around you that help you do your job better, to help you find more buyers, help you go through the transaction process with specialists who understand the area that they’re working in. 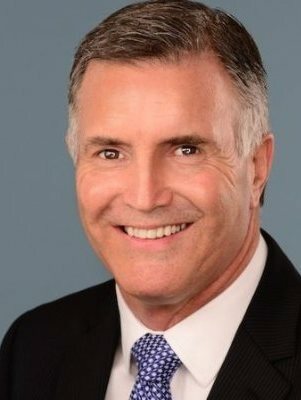 Many times I’ve heard comments about people who have brokers who’ve in the past seen lawyers or accountants or other people, advisers working in the sale environment that haven’t had much exposure to it and creating issues with the sale process along the way so I think it’s really about having that right team of professionals around you. David: And I’d also add it’s never too early to start thinking about selling your business. I mean ideally if you start putting these plans in place two years out before going to market the end results will be so much better. You’ll have a business that’s firing on all levels. You’ll have everything in place fully prepared and it’ll just make the actual process of going to market earlier easier as opposed to sort of waking up one day and thinking Oh I’m going to put my business on market next week. You laugh but some people have to make that decision – ill health or certain things. I mean sometimes they just don’t have an opportunity to choose when they go to market. It’s forced for them. The more likely they are to be prepared, the better. Joanna: And I think it’s about preparing when you have the energy for it as well because as we touched on before there is an element of emotion in the sale of a business and sometimes when business owners get the idea of selling they’re getting that idea because they’re exhausted. They’re at the end and the idea of spending a long time to prepare the business for sale just is too exhausting at that point. So good. Excellent. Thank you David for your time. Joanna: I think we’ve covered some really interesting topics here and maybe some topics that people in the industry haven’t really thought a lot about some innovative approaches that David you are using right now in Brilliant Businesses. Joanna: And so if people want to find you David as you said you work with both sellers and also brokers in helping them to get a good competitive market for the sellers that they have on their books. And so how can people find you, David? 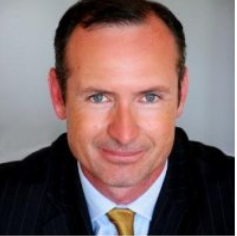 David: Best thing is to go to our website which is brilliantbusinesses.com.au. And then on there there are various methods of emailing, completing forms, or booking booking calls. We welcome the opportunity to speak with anybody. I like to partner up or sell their business. I think we’ve got something that’s pretty innovative to offer and happy to share it. Joanna: Absolutely. I think so too. And if you are listening to the podcast as you’re driving along and don’t have a pen on hand, don’t worry. Just come back to our show notes afterwards and you’ll find a link through to David at Brilliant Businesses there. So you don’t need to worry if you’re at the gym or running at the moment. You’ll still have the opportunity to find how to contact David. Well thanks David for coming along today. It’s been a real pleasure. David: Thank you Jo. I thoroughly enjoyed it. And yeah, look forward to speaking with you again soon. Joanna: Great. So just as a quick recap in this episode today we talked about ways for sellers to get in front of a larger pool of buyers. We talked about innovative ways to market the business and create competitive tensions. And we talked about the concept of getting prepared in advance for a sale. We also talked about the opportunities for brokers as well as sellers in this market to think about. We also talked about the opportunities for brokers as well as sellers in terms of getting on top of digital opportunities in the sale of the business. Now if you’d like more information about this topic. Head over to our website at thedealroompodcast.com where you’ll be able to download a transcript of this episode if you want to read more details. 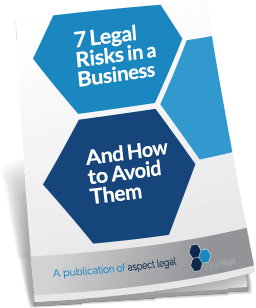 There you will also find details of how to contact David Biddle from Brilliant Businesses and you’ll also find details of how to contact our lawyers that Aspect Legal if you or your clients would like to discuss any legal aspects of sales or acquisitions. We’ve got a number of great services that help businesses both prepare for a sale or acquisition and to get transaction ready and a range of services to help guide businesses through the sales and acquisitions process. And finally if you enjoyed what you heard today please pop over to iTunes and leave us a review. Thanks again for listening in. 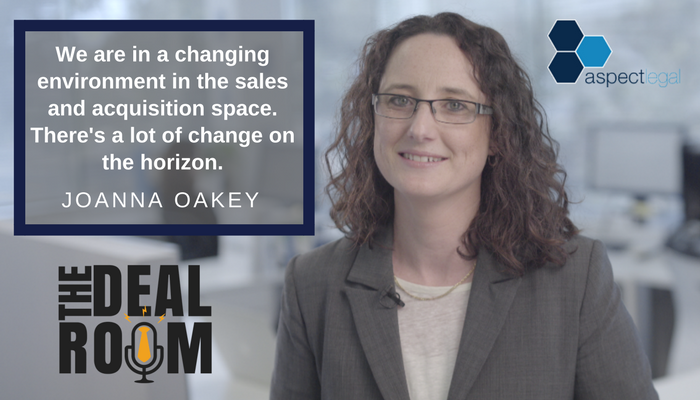 You’ve been listening to Joanna Oakey and the Deal Room podcast. See you next time.